At Bill Bird Shoes, we understand the problems associated with unusually shaped feet and ankles and are well equipped to help you. No matter what the shape of your foot, we can make you anything from a bespoke dress shoe to a made-to-measure fell boot. Sometimes an unusual shape is difficult to hide. Through the use of well thought-out design and high quality materials, we can make footwear for you that will enable you to walk out with confidence once again. You may be having problems finding shoes to fit. You may also have trouble walking smoothly and may be getting pressure sores from uneven contact with the ground or from your footwear. By giving you full contact support on the rear-foot, together with adequate room for movement over your toes, we can ensure your comfort once more. 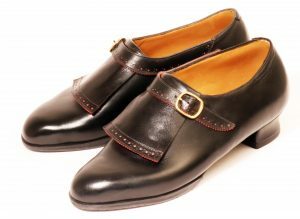 We have recently finished these made to measure single strap monk shoes with appliqué red under punching that are for a client with foot shape difficulties. We make individual lasts for all of our clients. 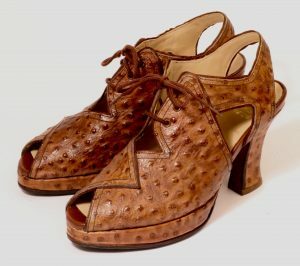 A last is the wooden form that shoes are made on. When we make you a pair of lasts, it is made to the exact requirements of your feet, both with respect to their shape and to the way you walk. We use traditional methods to measure you as well as foot casting techniques, digital photography and detailed computer gait analysis to ensure that your lasts are as close a fit as possible. Because we offer a one-to-one personal service we are happy to discuss your footwear needs on the phone and what the process involves before you decide to go ahead with an order. Please contact us today to find out how our shoemakers in the Midlands and central London can help.